BEGA ; LIMBURG ; BOOM ; OCCHIO ; ARES ; VIBIA ; AXOLIGHT ; FONTANA ARTE ; FOSCARINI ; KARTELL ; NEXT ; ARTEMIDE ; JUNG ; ZUMTOBEL ; XAL ; LUXPROM­ ; OSRAM; FAGERHULT ; LUCEPLAN ; BAROVIER & TOSO ; IVELA ILUMINATIONE . Long lifetime to 50,000 hours for L80 B10 indicator. High quality Color Rendering Index rated at 95. High efficacy – to 170 Im/W. 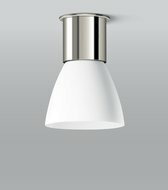 The use of lighting fittings devices with LED light sources allows to significantly lower the energy consumption. 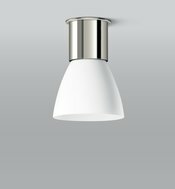 The lighting fittings are made of precious materials like glass, aluminium, stainless steel, brass, copper and high quality plastic resistant to aging and discoloration.Our luminaires are perfectly polished with the most precise care of every single detail. The lighting fittings are designed by the worldwide best designers – great variety of styles; from modern to rustic. Our company has 18 years of experience in lighting trade. Our professional shop service will help you choose proper lighting fittings, dimming systems, and elelctrical equipment. LED INTERIOR LIGHTING, LED OUTDOOR LIGHTING, LED RESIDENTIAL LIGHTING, LED GARDEN LIGHTING, LED TABLE LIGHTING FITTINGS , LED DESK LIGHTING FITTINGS , LED WALL LIGHTING FITTINGS , LED CEILING LIGHTING FITTINGS , LED SUSPENSION LIGHTING FITTINGS , LED MODERN LIGHTING FITTINGS, LED SPECIAL LIGHTING FITTINGS, LED DECORATIVE LIGHTING FITTINGS, LED HIGH QUALITY , LED ENERGY – EFFICIENT LIGHTING, THE BEST LUMINARE’S DESIGN , LED LIGHTING SOURCES, ELECTRICAL EQUIPMENT, DIMMING LIGHTING SYSTEMS, INTELLIGENT BUILDING SYSTEMS.